The next level of strategic cooperation between India and Japan has become apparent with the news that India and Japan are to work together to introduce artificial intelligence (AI) and robotics in the defence sector. Chatting with Indian media last month, said, "You should expect to see increased bilateral cooperation between us (India and Japan) to develop unmanned ground vehicles (UGV) and robotics." This cooperation is important considering the increasingly aggressive stance by China and China's assistance to Pakistan in terms of AI and robotics. Recent reports indicate China has secretly sold its Wing Loong-I strike-capable medium-altitude, 5000 km range, 200 kg payload drone to Pakistan. Wing Loong-I is China's latest armed drone that conducted firing exercises during January 2018. 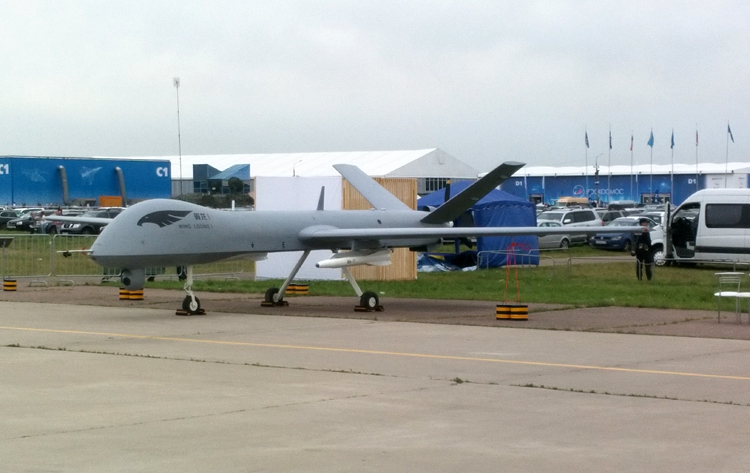 It is considered to be China's version of America's Predator drone. It has been periodically asked what India's strategy in terms of AI is. Considering global advances in AI, this actually should be part of our National Security Strategy (NSS). It is ironic that no government in India has bothered to define the NSS despite the country being independent past 70 years. Currently, AI is being used largely in the private sector, primarily in the spheres of medical, education – language and text speech applications, machining and machine translation, and consumer goods. IITs and few start-ups are undertaking research but for using AI for private and societal purposes. However, in October 2017, media reports confirmed that the government seven-point strategy as prelude to India's strategic plan for using AI. This covers issues like developing methods for human machine interactions, ensuring security of AI systems, creating competent workforce matching AI and R&D needs, addressing ethical, legal and societal implications of AI, measuring and evaluating AI technologies through standards and benchmarks, and the like. An experts committee has also been set up in the Ministry of Electronics and IT to advise the government on a policy for AI, government's main focus is to reduce cyber attacks with AI. The main central policy is to be drawn once the experts committee submits its report. The global AI market is estimated to touch $153 billion in 2020 and keep growing at a compounded annual growth rate of 45.4% from 2016 to 2022. In 2017, the State Council of China commenced work on the next generation AI development plan. AI and robotics is revolutionizing the defence sector. AI-powered robots can negotiate hazardous terrains, perform remote surgery, and most importantly execute surveillance and strike missions. Most of the advanced defense technologies in the world are robots, with militaries deploying unmanned autonomous vehicles for reconnaissance including detecting anti-ship mines, monitoring coastal waters, and precision air strikes on evasive targets. Boston Dynamics of the US has developed a 1.8m tall robot that can execute a variety of search and rescue operations, furnish emergency services, and perform multiple other tasks, in environments where humans can't possibly survive. Machine intelligence-powered platforms can become a strategic instrument of governance in India across a wide range of public services, from NATGRID to Aadhaar but the defence sector needs equal focus where DRDO's Centre for Artificial Intelligence & Robotics (CAIR) is leading such research. CAIR has developed a range of robots with varied applications. Post the initial research and robot applications, CAIR has been working on a project to develop a Multi Agent Robotics Framework (MARF) to equip the Indian Armed Forces with an array of robots that can function as a team, in a fashion similar to what our soldiers do; AI-powered multi-layered architecture capable of providing multitude of military applications, and enabling collaboration amongst a team of various robots already developed like the Wheeled Robot with Passive Suspension, Snake Robot, Legged Robot, Wall-Climbing Robot, and Robot Sentry, and the like. CAIR is also working on a project entailing development of dependable intelligent mobile robots. This will assist in equipping our military with self-reliant, adaptable, and fault-tolerant systems; besides improving robots' ability to execute tasks autonomously. These robots are designed to undertake operations in various conditions, both environmental and terrain – mountainous, desert, rural, urban, outdoor, and indoor; each presenting its own locomotion challenge to any robotic platform. This impediment could only be tackled by undertaking extensive research in locomotion technologies. CAIR's research includes the RoboSen; a mobile robot system targeted at patrolling, reconnaissance and surveillance, capable of autonomous navigation in semi structured environments with obstacle avoidance capability and continuous video feedback. CAIR is also developing: man portable Unmanned Ground Vehicle (UGV) for low intensity conflicts and surveillance in urban scenario; wall climbing and flapping wing robot ; walking robot with four and six legs for logistics support; Network Traffic Analysis (NETRA) which can monitor internet traffic. With Japan already well advanced in AI and robotics, Indo-Japanese collaboration in AI can result in strategic gains in the defence sector. Already, robots can perform numerous functions from a sentry to a surgeon in the battle field. But soon we could have robots that can perform difficult tasks like locating mines (buried ground and underwater), de-mining and anti-improvised explosive devices (IEDs) operations, deep surveillance and strike, launching of bridges, covert insertion and extraction for special operations, locating and striking terrorists and terrorist infrastructure and the like, saving precious lives, and increasing combat accuracy and efficiency.